An FHA loan is an incredible option for many individuals. Many people think of these as a first-time buyer program, but an FHA mortgage is by no means reserved strictly for first-time buyers. Let’s start with the basics before we get to some of the key FHA benefits and FHA pitfalls. The FHA is insured by the Federal Housing Administration (hence the name), and was designed by the federal government to stimulate home ownership. The program has flexible guidelines for approval, and the current FHA loan down payment minimum (3.5 percent down) is one of the lowest out there. The FHA loan requirements are also exceedingly flexible in comparison to other mortgage options. In fact, in some borrowing scenarios, a client might only qualify for a FHA loan. What’s the minimum credit score for FHA loans? The FHA is often the best -- and sometimes only -- available option for a borrower who has low or mediocre credit. Similarly, an FHA loan may be the only option for a borrower with a major derogatory credit episode in their past. Fortunately, FHA loans offer financial forgiveness. For example, an individual currently in chapter 13 bankruptcy, 24 months out of chapter 7 bankruptcy, or more than 36 months out of a foreclosure, can still qualify for an FHA mortgage. The debt-to-income ratio (DTI) is also a determining factor for loan qualification, and the FHA allows for expanded DTI ratios. While many lenders’ guidelines tend to set a cap at 45 percent DTI, the FHA routinely allows for DTI up to 55 percent and even 56 percent in some extreme cases. Nonetheless, the FHA loan program does have a few downsides to consider before making a decision. With an FHA loan, mortgage insurance is always required. Furthermore, if there is more than 20 percent equity in the property, FHA mortgage insurance will always be charged. Period. The upfront funding fee and the FHA mortgage insurance are defining hallmarks of the FHA loan program. Currently, the FHA mortgage insurance premium is always present on the loan, and this FHA mortgage insurance is part of the loan for the entire term of the mortgage. This is just the way the system is currently set up, and the only way to get rid of the FHA mortgage insurance is by refinancing to a non-FHA conforming loan. (At the time of this writing, these FHA PMI guidelines are subject to change annually.) 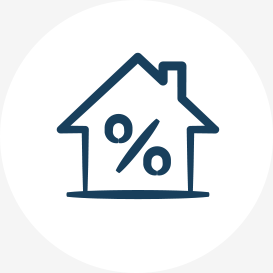 Even though the cost of the mortgage insurance premium over time is comparatively high, the rates on the FHA program usually are below what you will see with conventional programs. 2018 Guidelines: How Are Conforming Home Loans Changing? up the financial semantics and explain exactly what a conforming loan is. As the name suggests, a “conforming” loan conforms to standard Fannie Mae and Freddie Mac guidelines. In our heliocentric solar system, all matter literally orbits the sun, and in the US mortgage industry, everything revolves around these government service enterprises (GSEs). These two institutions are the “beating heart” of the mortgage industry and exist (as instituted by the federal government) to create liquidity in the mortgage market. This is accomplished by selling bonds and then purchasing mortgage-backed contracts from mortgage origination companies. This allows these institutions to act as the counterpart to those mortgage bonds. That’s where we enter the picture. 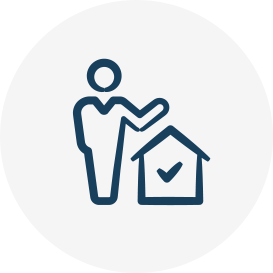 Sierra Pacific Mortgage is known as a “direct agency lender,” and our job is to write loans directly conforming to the guidelines established by Fannie Mae and Freddie Mac. Once a contract is drawn up, if one of these GSEs will buy the contract, we can write the mortgage. Why does this matter to potential borrowers? Great question! Let’s take a look…. Secondly, direct lending incorporates a few pricing advantages for our borrowers. Because we are not selling our loans to a third party, we’ve effectively cut out the middleman in the deal to create pricing efficiency. Now, let’s look at some conforming loan requirements! Conforming loan guidelines are primarily focused on four main areas: your income/employment, your credit profile (credit score, current debts, and your overall history with debts), your assets, and the subject property. These factors will determine the conforming loan amount, the overall rate you are able to lock, and the types of loans available to you. Let’s be clear about one thing: these requirements exist for every mortgage company in the US. That’s just the way the industry works. These conforming loan limits and guidelines are the foundation of virtually every existing mortgage program. This means that the preliminary underwriting analysis will be fairly similar regardless of the lender you meet with. At Portland Home Loan, we can help you pose the salient financial questions and also assist in crafting money-saving strategies. 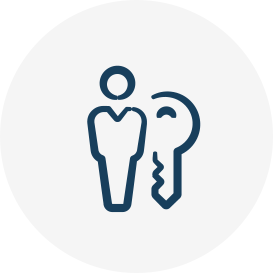 The inherent pricing advantage found in our agency direct platform combined with our proven strategic planning advice is a winning combination for mortgage loan shoppers. An experienced financial professional will help you find ways to use the lending process to your advantage. A sound strategy is so much more than finding the lowest mortgage rate. The right strategy for you will lower the overall cost of home ownership and add smart leverage to your overall financial plan. Let’s talk about your options and find the right solution for you. In today’s market, a VA home loan is arguably one of the best mortgages a borrower can obtain. That’s because a VA home loan is a “true” zero money down program. Furthermore, because the loan is insured by the department of veteran affairs, mortgage insurance is not collected as part of the monthly payment. This sets the VA home loan program apart from the FHA loan program. However, a VA home loan does include a funding fee that is paid at closing time. Spouses of fallen service members may qualify for VA home loan eligibility as well. Swing by our office to learn more about VA home loan requirements and VA loan limits today! These non-conforming loans are semantically dubbed as such because they simply do not conform to normal lending guidelines. Jumbo loans operate outside of the familiar Fannie Mae system. Simply put, it’s a whole new ball game. Some borrowing scenarios can be rather complicated, and a jumbo mortgage can be a tremendous tool in some situations, however, these loans often come with a more arduous underwriting process. Borrowers seeking a jumbo loan often have multiple properties, businesses, and ownership entities. As a result, the documentation is much heavier and more complex. There is a very narrow margin of error here. The realm of the jumbo loan is far less standardized than conforming loans and requires professional guidance. Our experienced jumbo mortgage loan professionals can proactively identify pitfalls and complications in documentation. Similarly, we can assist with matching the borrowing scenario to an ideal loan at the most efficient cost. Across the country, various cities offer special programs as an alternative pathway to homeownership. For example, the city of Portland, Oregon offers a few programs through the Portland Housing Bureau (PHB). Similarly, there are certain first-time home loan programs that are also state-specific (such as the Oregon Bond loan program), while other programs are available nationwide (i.e. the NHF grant program). Oregonians seeking a first-time home loan could qualify for thousands of dollars in funds to use toward a mortgage down payment or closing costs. 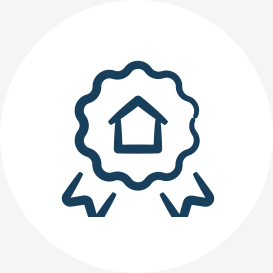 The Oregon Housing and Community Services initiative awards up to $15,000 in funding to home loan buyers who have completed the necessary homeownership education program. Many first-time home buyer loan programs function to offer home ownership opportunities to individuals and families at the lower end of income spectrum. It’s important to note that all first-time home buyer programs have income brackets in place. Again, these guidelines are exceptionally difficult to navigate alone. Feel free to contact us to see if you qualify for a great first-time home buyer loan in your city or state!